Hull Wyke Academy arrow-rightCreated with Sketch. 14 players aged 19 or under take to the field for our first match. 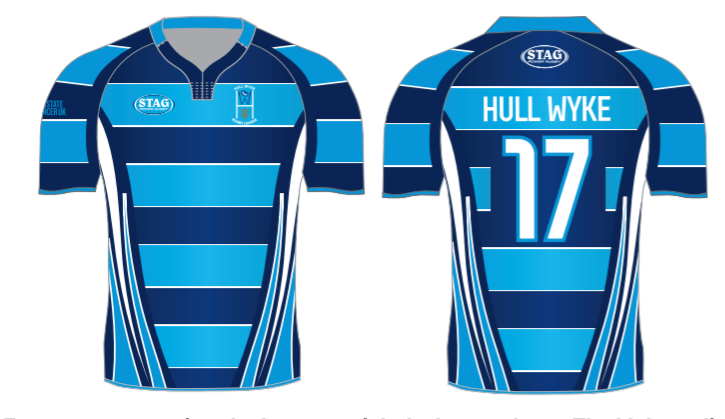 A first outing for the new Hull Wyke Academy in the Hull & District Open Age League. A very youthful side, giving our youth sections players a chance to test themselves at this level, took to the field this afternoon. 3 x 16, 3 x 17 and 14 players in total aged 19 or under in the squad for our first league game v Bilton, who put up a spirited performance and played the match with a great atmosphere between the 2 teams. A cold winters afternoon, but dry with a glaring sunshine, the first half was a close encounter as Biltons big forwards tried to take on the smaller Hull Wyke pack down the middle. Tries in the first half coming from Ryan Johnson x 2, Dave Flintoft & George Cookes solo effort after a great dummy & step, with Bilton replying twice saw Hull Wyke lead at half time 20-10. Second half was mainly Hull Wyke, the young lads grew in confidence and this was typified in some flowing rugby that lead to further scores for Ryan Johnson x 2, taking his total to 4 for the match, Reece Pressick x 2 and Gregor Everitt. Hull Wykes effort was typified by one of Ryan Johnsons tries as he chased down a fairly steady kick and pounced and kick through as the full back lost the ball. Ryan's 4 tries and all round enthusiasm earned him the MOTM award.